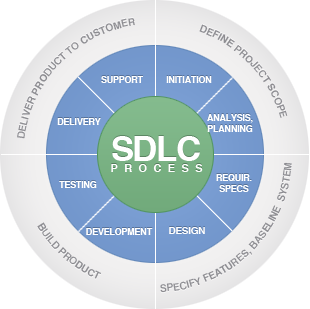 Reliable and cost-effective software development services custom-designed for your business. Offshore software development enables global organizations to make distinctive and economical software solutions for their IT requests from a distant professional software firm. Offshore software development service suppliers enable clients to have top IT experts and an extension to their development centre without undergoing the turmoil and hiccups faced in establishing fully functional software development centre and maintaining it for further use. KADA, a software development expert, offers a long-term reliable partnership that pushes innovative ideas to real world applications with cost effective solutions for customer’s business requirements. With the maximum potential from the best in class resources, processes and technologies, KADA enables clients to shorten time to market, reduce operational cost, and focus on their main business activities. KADA follows some of the most rigorous and proven development processes to control R&D costs without compromising the quality of the solutions. Our offshore software development services can provide labor cost savings up to 70% for various solutions in comparison with in-house development in American and European countries. With over seven years of quality experience in software development industry, KADA is able to deploy world class software solutions for even the most complicated requirements. Faster delivery to market is a priceless advantage in today’s competitive environment. Our well setup state of the art infrastructure and ready to go resources guarantee that quick solutions will be delivered. KADA has a vast pool of over 100 skilled professionals with rich experience in diverse software development verticals. Reduce your housing, recruiting and training expenses through our offshore software development services. Hire resources as your requirements. KADA, as an offshore software development expert, follows proven development processes and quality management system, which minimizes the risk involved in project development. Equip development center with enough security protocols to ensure the safety of your intellectual property. Sign non-disclosure agreement with clients to ensure confidentiality of proprietary information. KADA offers total security from the technical changes due to evolving information technology by keeping up with the latest technologies. KADA is a CMMI Level 3 and ISO 9001:2008 certified offshore software development firm, delivering carefully formulated web and mobile solutions for the last seven years to more than 100 customers in over 15 countries including US, UK, Japan, Australia, and Canada. Aiming for total client satisfaction, we have rooted ourselves among the first-class offshore web development service providers in the world.